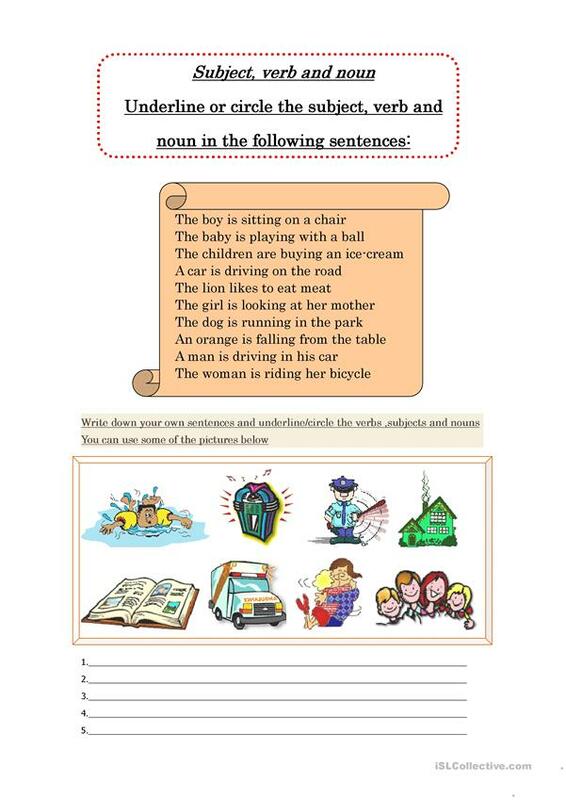 Students have to underline the verb, subject and noun in the given sentences. At the end they'll have to come up with their own sentences using some of the pictures. I hope it's useful for some of you out there. This downloadable teaching material is best suited for elementary school students at Elementary (A1) level. It is a valuable material for improving your learners' Reading and Writing skills.